Many of us use the holiday season to reflect upon the activities of the past year. Personally, I enjoy doing this while contemplating what the future may hold for me, my family, my friends, and my company. The Thanksgiving holiday, in particular, is a great reminder to take into account all of life's blessings as part of that process. Thank you to our families for providing unrelenting support and advice over the long-haul. Thank you to our employees for choosing to spend a significant part of their lives being dedicated to our mission and doing what we do. Thank you to our clients for entrusting us with your work and teaching us how to best serve you. Thank you to our vendors who provide great products, great service, and outstanding technical support - all while being mindful of cost. Finally, thank you to our trusted advisors (friends, mentors, consultants, bankers, lawers, and accountants) who provide expert advice, guidance, and support in both lean and rich times. It is an honor to be associated with all of you. 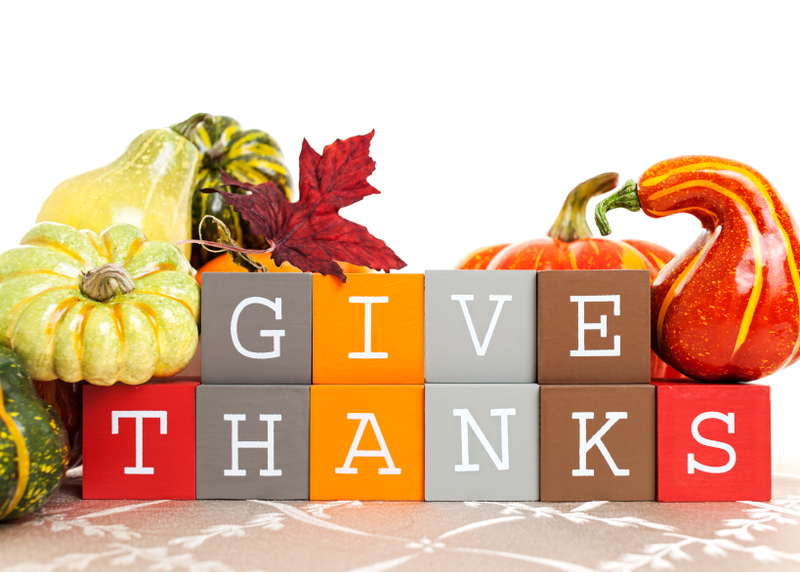 Have a safe and happy Thanksgiving holiday, everyone.